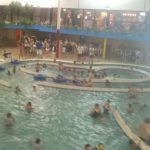 Wyndam Garden Sterling Inn Indoor Waterpark – review, pics, and info. 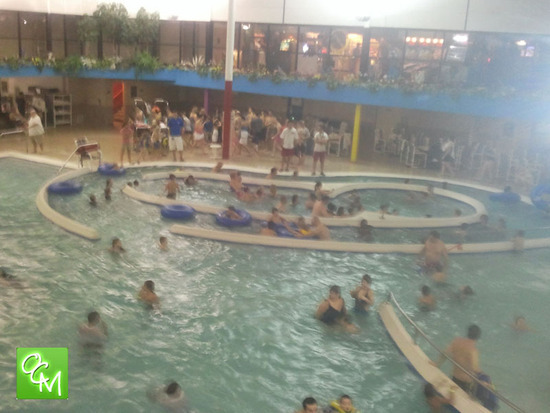 Sterling Water Park at Wyndham Garden hotel is located on Van Dyke in Sterling Hts, MI. 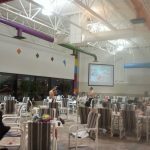 This waterpark used to be known as the Best Western Sterling Inn Waterpark but Wyndham Garden Hotels acquired the property and have recently updated facilities. 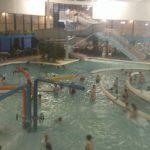 If your kids love an indoor waterpark but you don’t want to trek to northern Michigan or Ohio, Wyndam Garden Sterling Inn Indoor Waterpark is a nice local option. 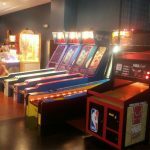 Wyndam Garden Sterling Inn Indoor Waterpark has plenty to offer kids from little ones on up to about age 9. 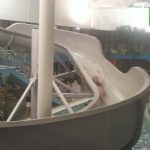 Wyndham Garden Indoor Waterpark offers a 3-story waterslide, lazy river, and a new 2300 square feet interactive splash park. An indoor track surrounds the park from the top and is great for indoor exercise. 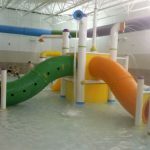 There’s one side that is set up for the younger kids while the other side offers the water slide, lazy river, hot tubs and large splashing area. It’s not Kalahari by any means, but it’s a nice local option. 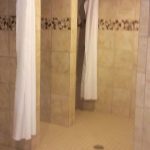 When Best Western Sterling Inn owned the hotel, there were complaints the rooms and the waterpark fell under disrepair. Wyndham Garden has managed to update the facilities and they’re remarkably cleaner than when I first visited in 2011. The pics below are from 2011 but the I can tell you, there have been nice improvements. 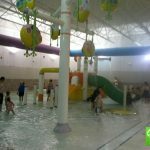 If you’re looking for something fun and safe for the kids to do next New Year’s Eve or as a nice getaway for bored kids, Sterling Heights Indoor Waterpark is a great option. 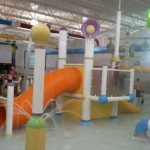 They host a New Year’s Eve event for families called Wave Rave that includes a hotel room, waterpark access, and fun activities. 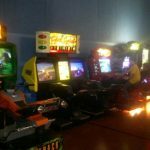 The kids can hit the waterpark, and if they need a break from the water, they can enjoy the arcade or during the live entertainment shows. There’s also a bounce house in the lobby during Splash Bash, but you won’t find many kids in there since they all head to the waterpark in a hurry. 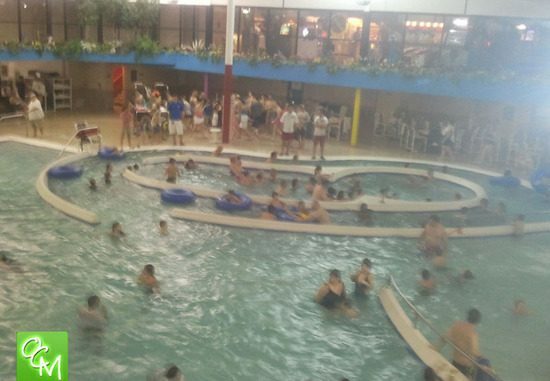 See related articles below for a review of Best Western Sterling Inn and reviews for pics of Best Western Sterling Inn and reviews of more Metro Detroit, Michigan waterparks.